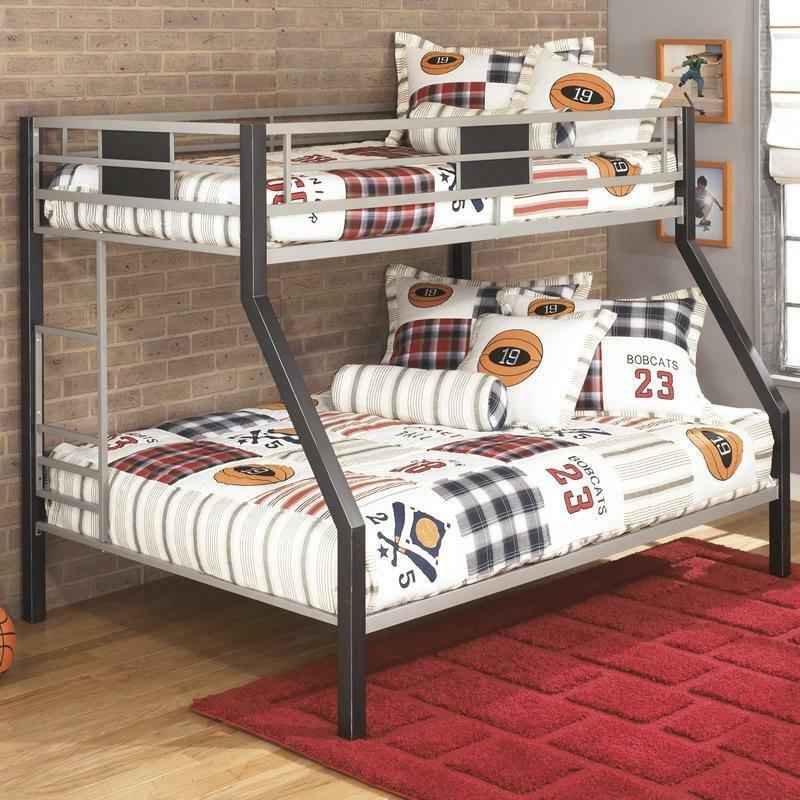 Capturing the fun and excitement of youth, the "Dinsmore" bunk bed takes a bold contemporary design and combines it with a durable construction to create a flawless example of what youth bedroom furniture should be. 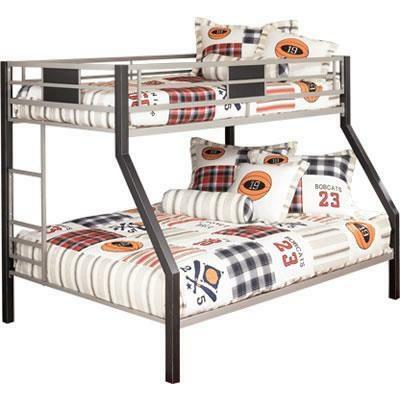 The bold angles of this artistically designed contemporary furniture is constructed with strong tubular metal beautifully protected in a durable powdercoat finish of rich metallic tones that fit perfectly into any child's bedroom decor. 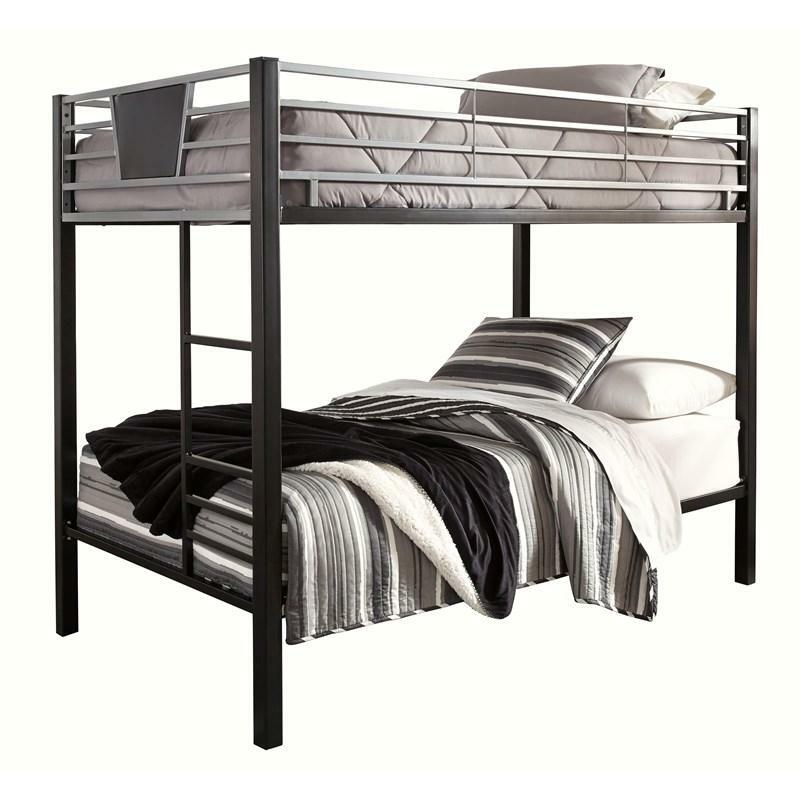 Additional Information Bottom bunk 74 3/8" x 54 5/8"; Distance between ladder rungs 10 7/8"; From bottom bunk to top bunk 33 1/2"; From floor to bottom bunk mattress support 10 1/2"; From mattress support to top of guard rail 13"; Top bunk 74 3/8" x 38 1/4"; Width of ladder rung 12"